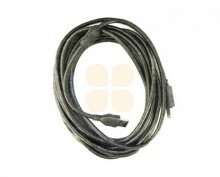 Click the button below to add the Infiniti FINA 250Q Usb Head Data Cable to your wish list. This Usb Head Data Cable is suitable for Infiniti FINA 250Q / FINA320Q Printers. This is original Infiniti part. This cable is 460cm long.